If you have young boys, there is a good chance that they will want to play sports from a very young age. Pop Warner football is the oldest league of its kind in the nation. However, in recent years the dangers of concussions have become a major focus where football is concerned. How could a little one get a concussion, you may ask? The leagues usually have players that are as old as twelve, and they do play contact ball. So, you can see that the chance for a concussion comes any time a player is hit. Now two mothers are suing the Pop Warner League over their son’s deaths, which they believe were caused by brain injuries sustained while playing football. Paul Bright, Jr. died in a motorcycle crash when he was 24-years old. An autopsy revealed that he had chronic traumatic encephalopathy, or CTE, which is caused by repetitive trauma to the brain. His mother, Kimberly Archer believes the CTE caused him to behave recklessly and erratically, and she blames his death on the brain damage he suffered while playing football. The other mother who is bringing a suit, which seeks class action status, says her son played Pop Warner from 1997-2002. He committed suicide in 2014; an autopsy revealed that he also suffered from CTE. 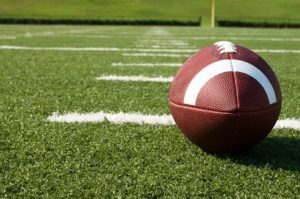 A federal court judge in California has ruled that Pop Warner “misrepresented that safety was its top priority”. The lawsuit will go forward and may gain class-action status.